This paper describes best practices for planning a VMware Mirage deployment. It addresses the primary phases of a Mirage deployment, including sizing, design, and the gathering of environmental data. 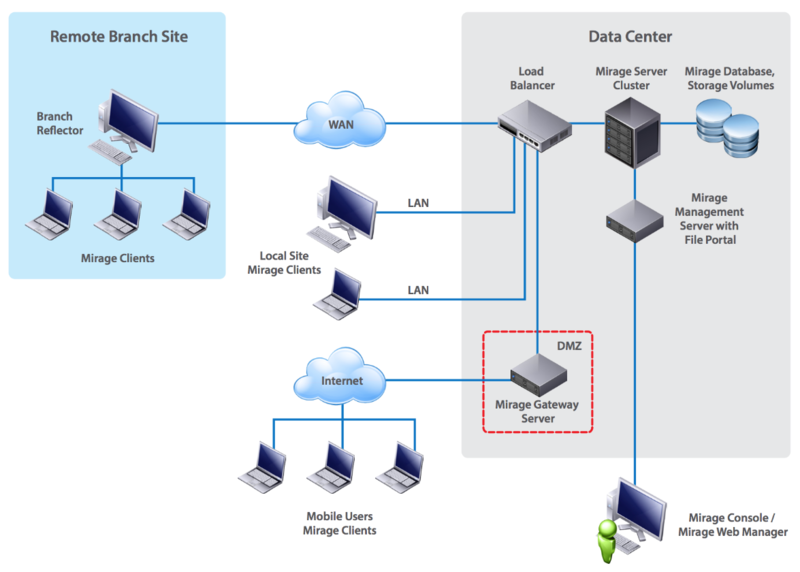 Mirage provides centralized image management for physical desktops and VMware Horizon® 6 with View virtual desktops. Mirage provides enhanced endpoint backup, recovery, updates, and hardware and operating system migration. These functions centralize endpoint content in the data center for management and protection, download images to endpoints, and optimize the transfer of data. 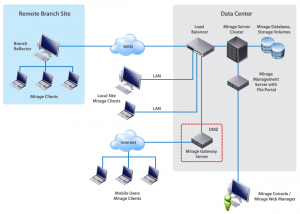 Each endpoint has a Mirage client installed, which communicates with a Mirage server or a cluster of Mirage servers. Base and app layer updates are downloaded to endpoints as scheduled by IT. Changes to endpoints are uploaded to the data center to keep centralized desktop images synchronized with endpoints. Either the user or IT can initiate these changes.